This paper focuses on analytical or semi-analytical calculation techniques to be integrated into a medium frequency transformer optimization process. 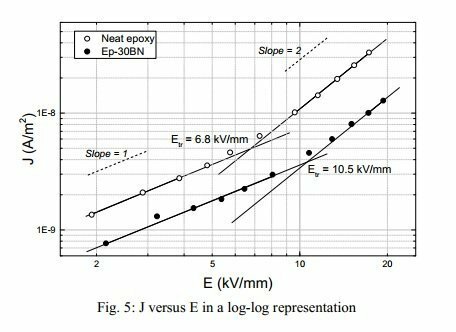 Two high voltage properties – DC conductivity and AC breakdown strength – of epoxy composites filled with 30 wt% of micron sized hexagonal boron nitride (h-BN) are discussed in comparison to neat epoxy. This paper presents results carried out on polymeric high voltage direct current (HVDC) model cable. Two aspects are considered: partial discharge (PD) and current measurements, with the aim at investigating possible growth of voids of micrometer size. This paper presents an overview of the DC-DC power converters dedicated to HVDC proposing a classification based on their structure. In the future, medium-frequency transformers (with a frequency range of 5-100 kHz) will be major components in dc-dc converter applications, for both medium-voltage direct current and high-voltage direct current networks.